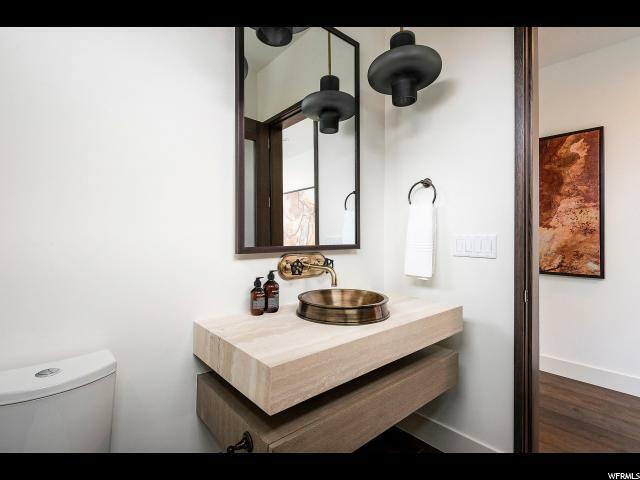 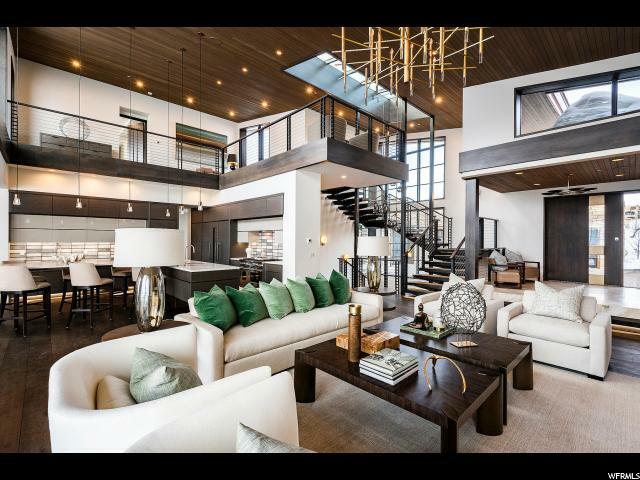 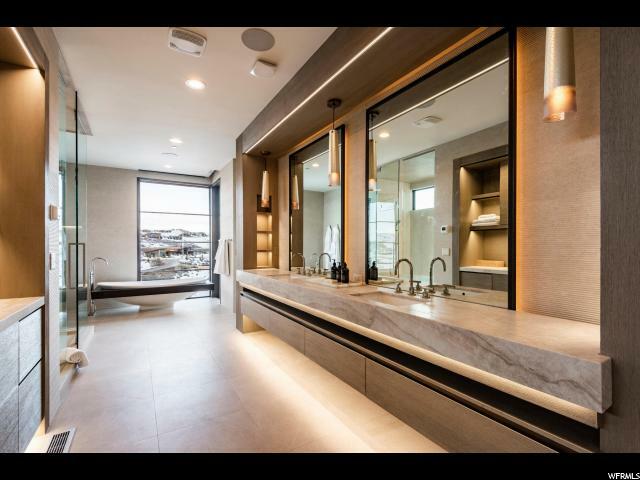 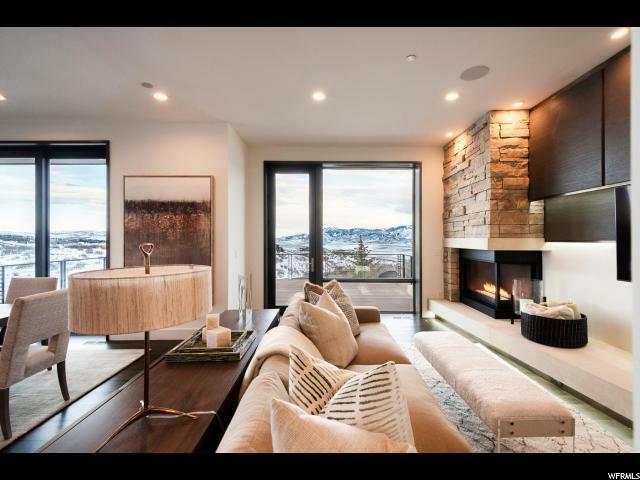 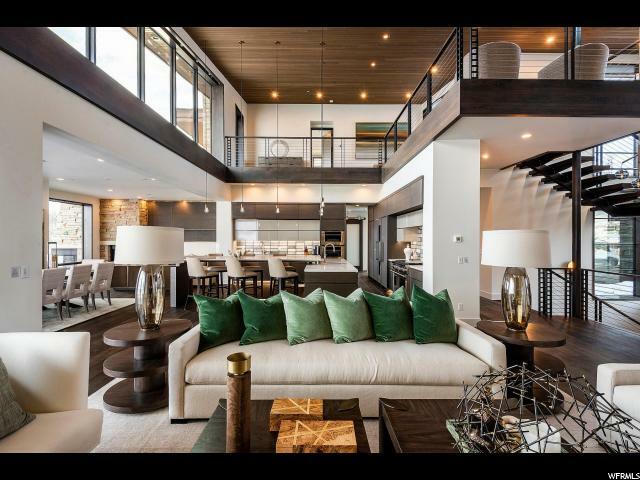 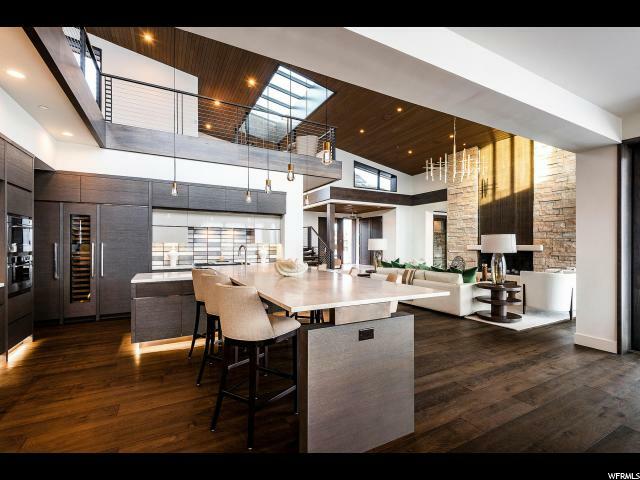 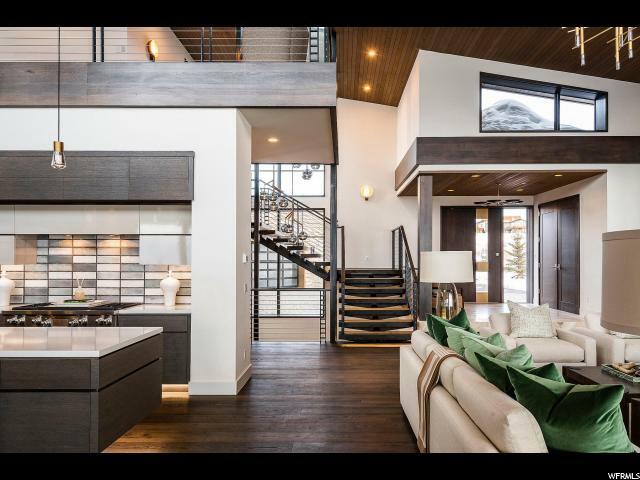 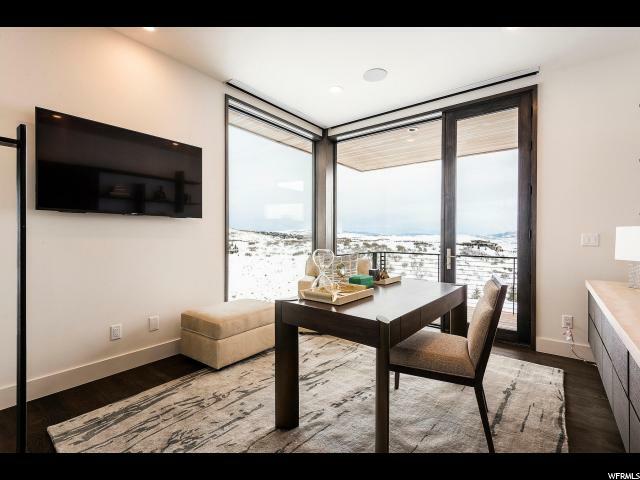 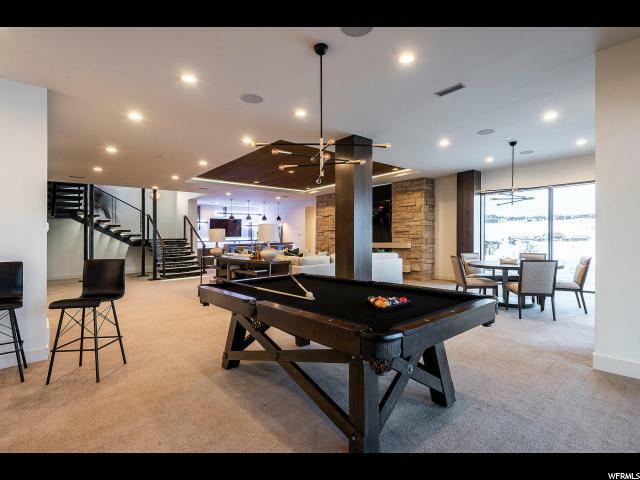 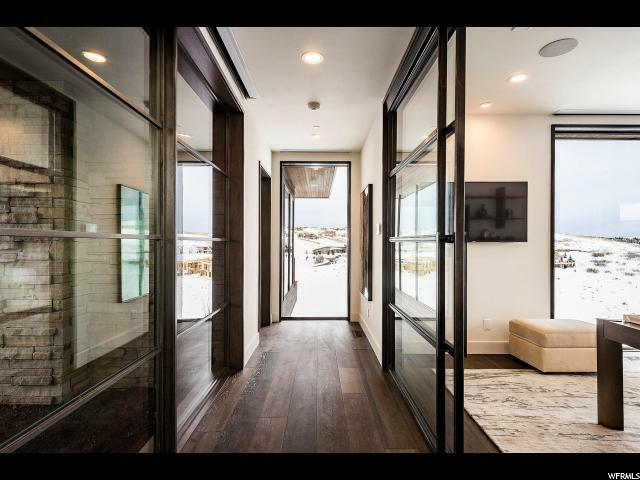 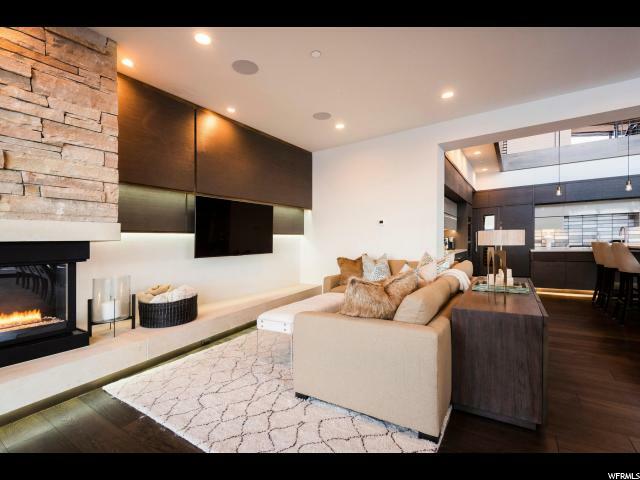 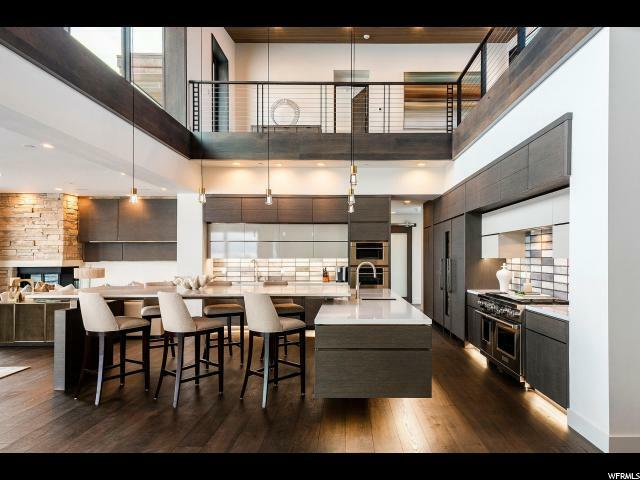 Michael Upwall designed mountain contemporary home with great views of Park City and Deer Valley ski resorts! 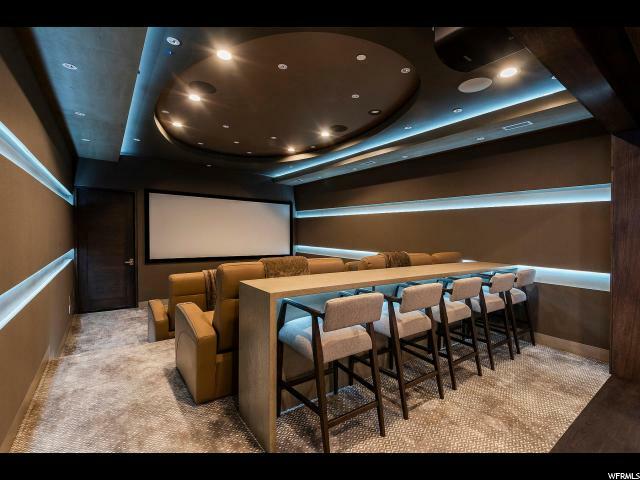 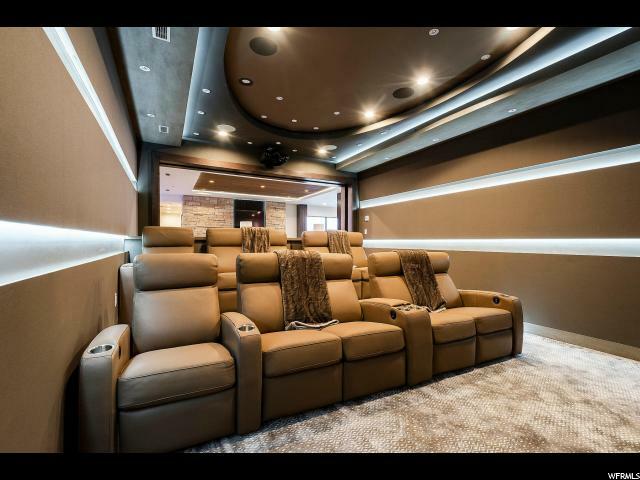 Designed for entertainment with indoor/outdoor living. 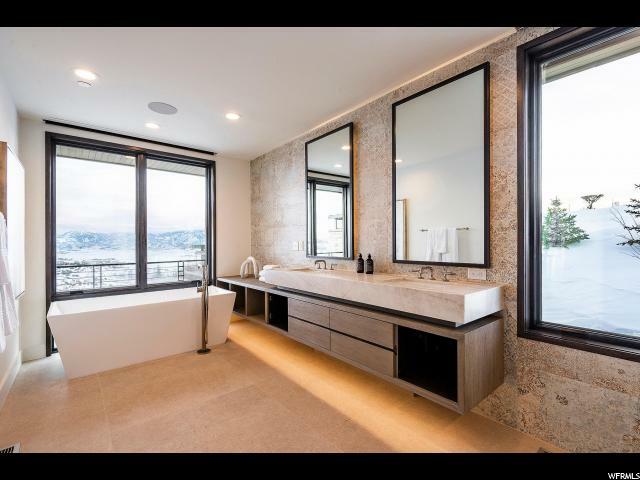 Featuring a hillside water feature with negative edge spa/ pool. 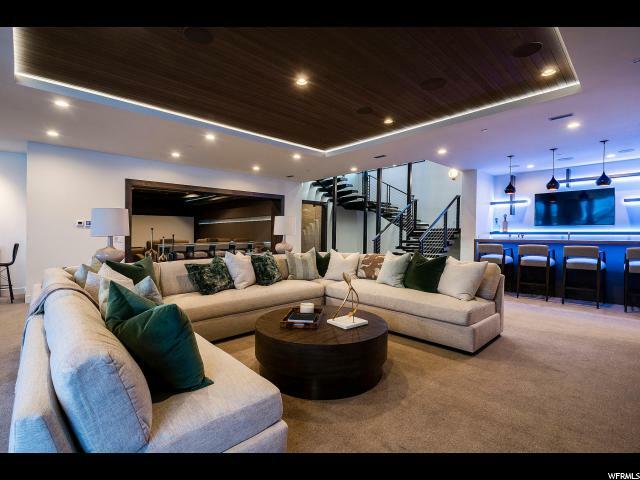 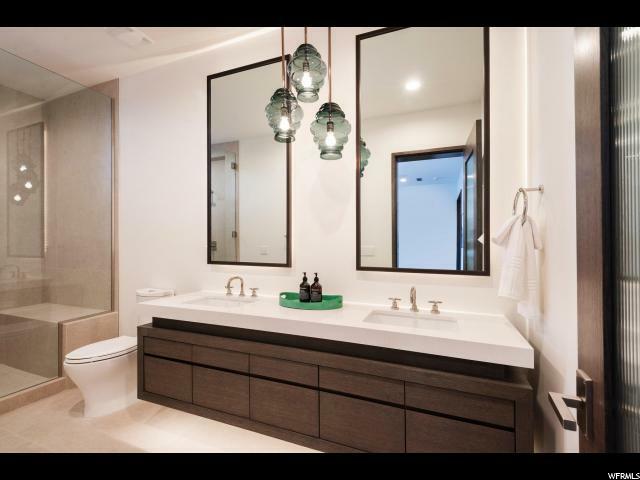 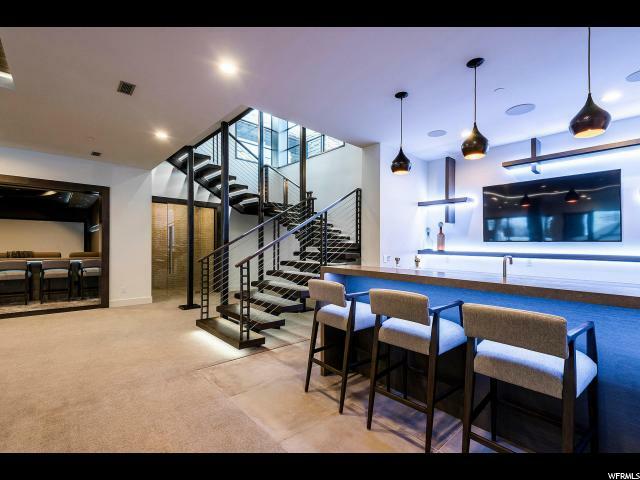 Also featuring a state of the art home theater, entire home audio and security system, heated auto courtyard, bridge to upper level meditation overlook, enclosed dog yard, temp-controlled wine cellar, EV charging, golf simulator and solar power! 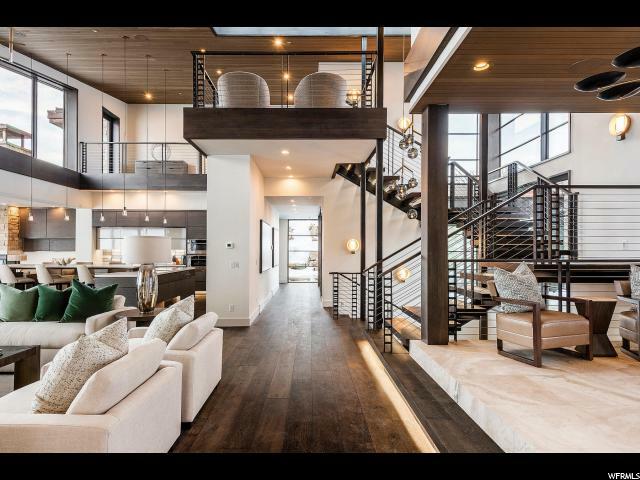 Dramatic floating staircase connects all 3 levels of the home. 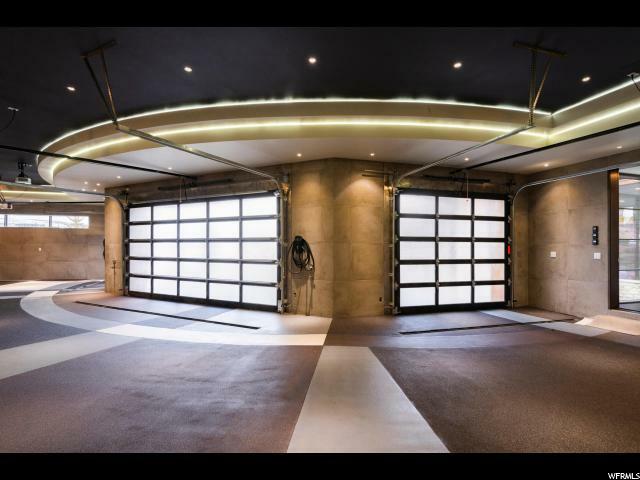 Elevator ready. 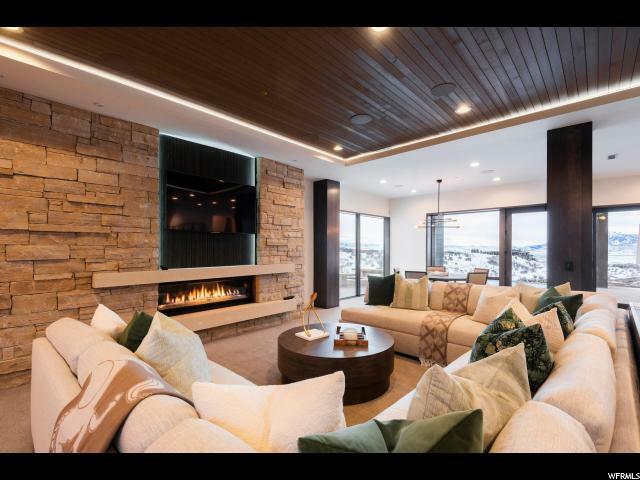 Main level features a chef's kitchen, great room, dining and hearth-room that flow together seamlessly with multiple fireplaces and large balconies for flawless entertainment. 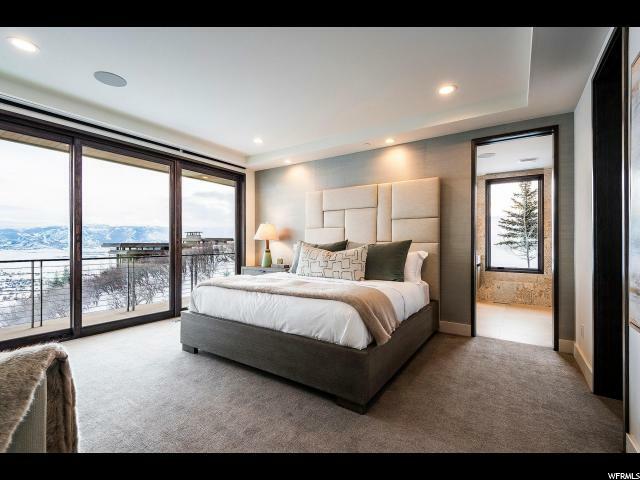 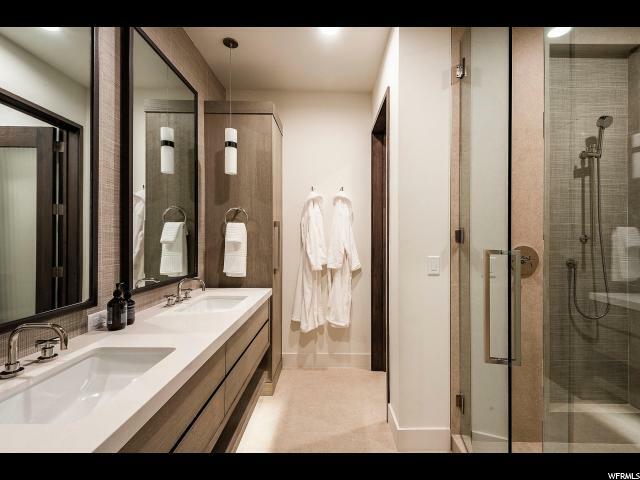 Luxurious main level master suite with private study and 2 private balconies with panoramic views. 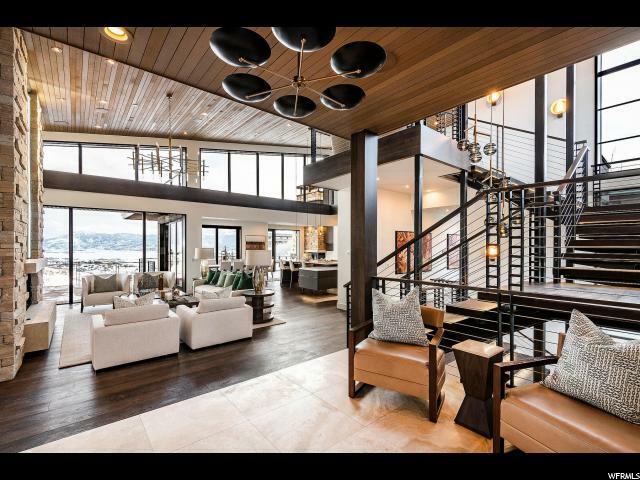 Upper level sunset suite offers top-of-the-world views. 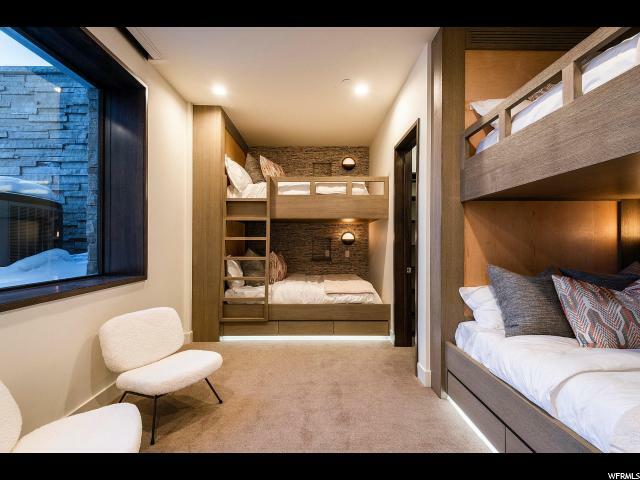 Lower level has another laundry, bunk room, and 2 more guest suites for the whole family to enjoy! 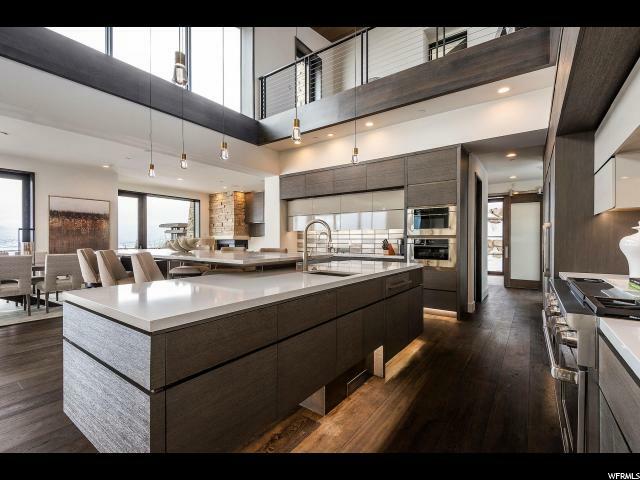 I would like more information regarding the property at 8785 N LOOKOUT LN, Park City UT 84098 - (MLS #1582154).